Summary: Three are dead. Who is Number Four? D.J. Caruso ("Eagle Eye," "Disturbia") helms an action-packed thriller about an extraordinary teen, John Smith (Alex Pettyfer), who is a fugitive on the run from ruthless enemies sent to destroy him. Changing his identity, moving from town to town with his guardian Henri (Timothy Olyphant), John is always the new kid with no ties to his past. In the small Ohio town he now calls home, John encounters unexpected, life-changing events—his first love (Dianna Agron), powerful new abilities and a connection to the others who share his incredible destiny. 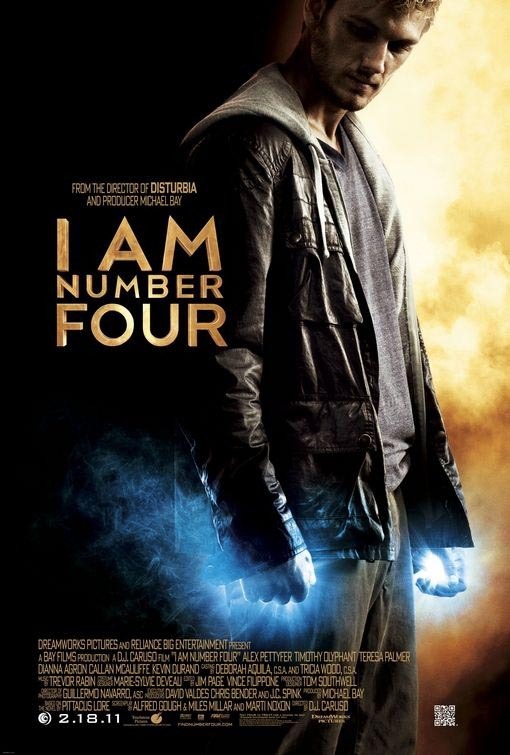 Based on the book by Pittacus Lore. EN 5 Second Review: We were really excited for this movie. We were also very disappointed. It’s bizarre and just not that good. Teresa Palmer steals the show as Number Six though.